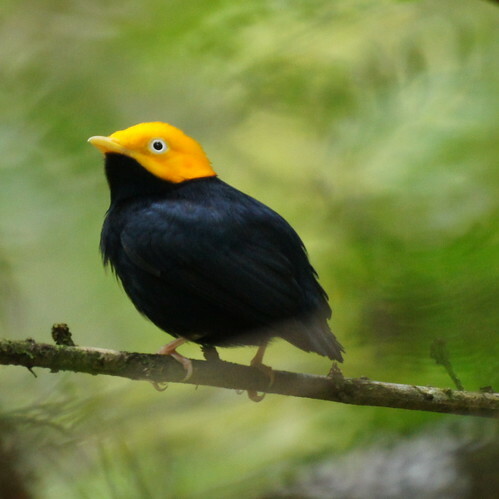 At Asa Wright Nature Center, the White-bearded and Golden-headed Manakins were easy to find. They have leks on either side of one trail where the males perform adorably trying to attract the females. 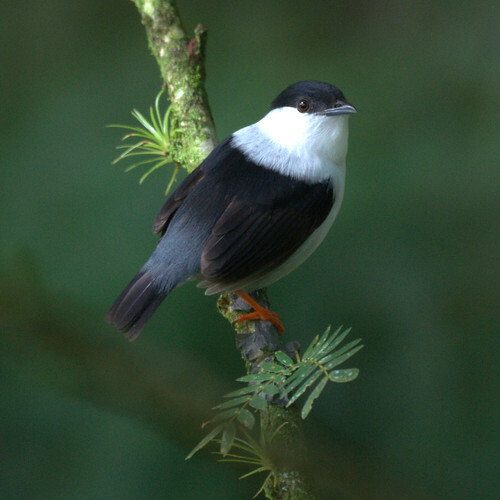 The Blue-backed Manakin was a different story entirely. 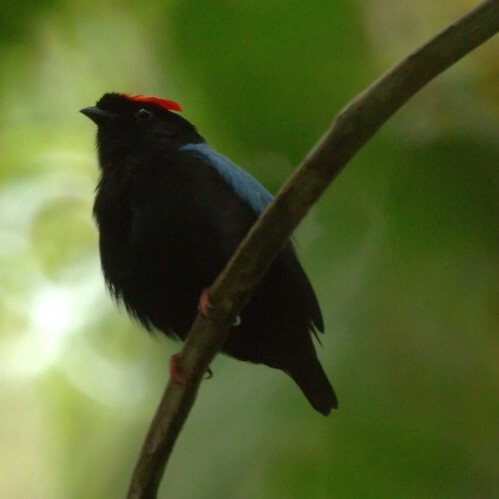 We spent at least an hour hiking trails with a guide on Tobago, and Chris told him she wasn't leaving the island until she'd seen the Blue-backed Manakin. Thank goodness he took her seriously; the bird was better in person than in the guidebooks. It looks like it's wearing a little blue cape and a red beret that sits slightly askew. Even after we had a brief look at one on the first hike, we went to another trail where we got to know the bird a little better. We like to watch for a while, rather than just see it, check it off a list and move on.